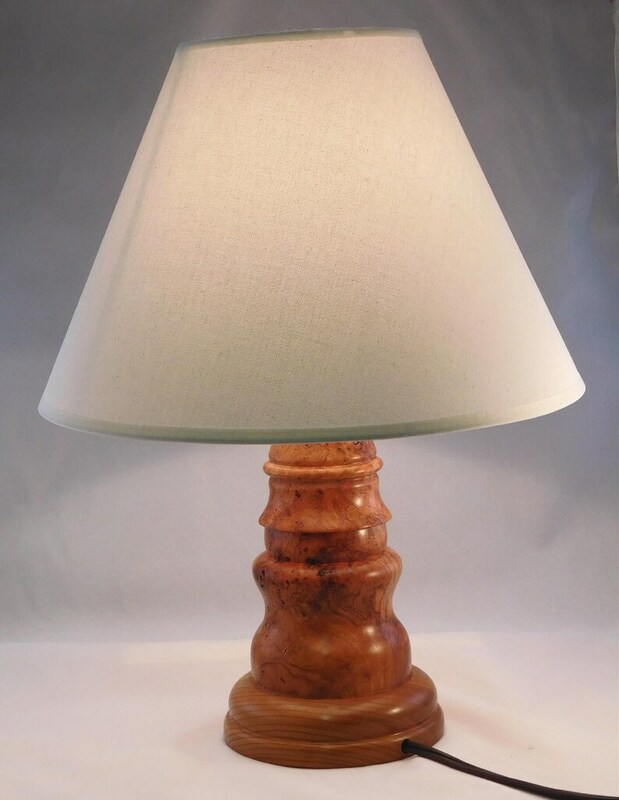 This table lamp was hand turned from a beautiful piece of Wild Cherry Burl with a base turned from a piece of cherry. It measures 8-3/4" to the top of the body and juyst over 18" to the top of the harp. 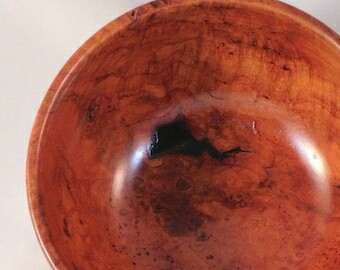 The base measures 5-3/4" in diameter. The price doesn't include the shade, most people find it easier to acquire their own shade. However, the shade can be included for an additional $15 plus shipping. The lamp has single on/off swithch, a three-way can be substituted for an additional $5.00. The lamp was finished with several coats of Danish Oil finish and buffed out with a coat of paste wax.